The Connacht Schools Cup was first contested in the 1912/13 season with St Joseph's College, Garbally, the first name to be inscribed on the Senior trophy. 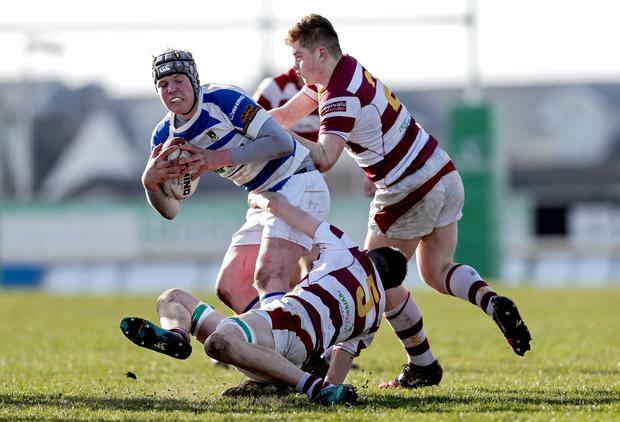 Over a century on and little has changed, with the Ballinasloe school defending champions as the 2019 campaign continues through the pool system. Some previous winners including Ranelagh College, Athlone, Galway Grammar School and Collegians are no longer in existence, while opportunity allied to logistics at the time saw Leinster school Wilson's Hospital, Multyfarnham (1966) and St Saran's Ferbane (2004) take the cup over the border into Westmeath and Offaly respectively. From grassroots to green shirts is the rugby aspiration and if the development this decade (particularly at JCT level) is any indication, the underage revolution is well and truly under way. It has still to materialise in cup-winning terms from Junior to Senior but with Oranmore (Calasanctius College), Westport (Rice College), Castlebar (St Gerald's College) and Roscommon (CBS) all providing a home for the under-16 trophy in recent times, the basis for optimism is well founded. There are still issues, as in every province, between schools and clubs but with Emerging Cups at Senior and Junior, Development Cups at Senior and Junior plus the main cups at both levels, it makes for six competitions embracing 37 schools and 62 teams. The format again this year will be round robin, with two pools of three and the top two in each pool making it through to the semi-final. In the pre-Christmas Senior A League Garbally and Marist College, Athlone, tied at the top with the Jes (Colaiste Iognaid) just a single point behind. Garbally and Marist took the semi-finals against Sligo Grammar (26-0) and the Jes (38-7) respectively, with Garbally going on to retain the Senior League title when getting the better of Marist (34-10) in that early January final in Tuam. On that compelling evidence I think it fair to say that Garbally are that bit better than the rest, but we'll qualify that by saying that on any given day any of the four teams outside of the League finalists are capable of beating each other. In Pool 1 we take Garbally to come out on top with the Jes making it to the semi-final stage. CBS have already beaten Marist in the Pool 2 opener and should now top that group, leaving the game between Marist and Sligo to determine the second semi-finalist. The reigning champions are the team to beat or, put another way, whoever beats Garbally will win the cup out West.